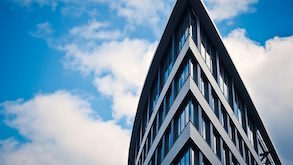 Window tinting for commercial buildings is a proven money saver and the smart choice for any commercial property investor looking to make more profit from their commercial investment. Its many benefits include: drastically reduced utility bills, markedly increased tenant retention and unparalleled levels of safety. Stop throwing money out the windows of your commercial investment today by investing in window tinting for your location! Denver Commercial Window Tinting is Denver’s premier window tinting specialist with hundreds of thousands of feet of window tinting installed over the last 10 years. 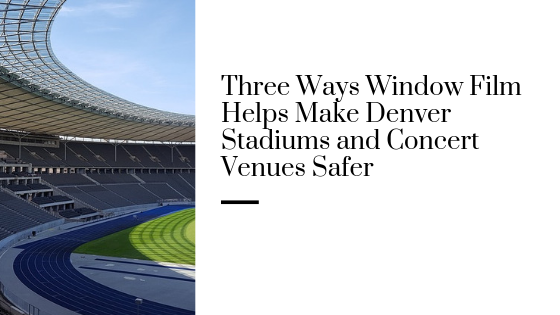 We have installed film on some of Denver’s most prestigious and well-known locations, which makes us one of the most experienced and trusted window film installers your money can buy! 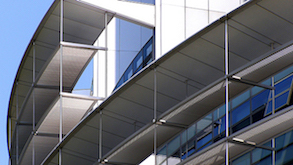 Existing office buildings are an ideal opportunity for window film solutions. Window tints and films are able to solve almost any problem stemming from a commercial locations windows: high utility bills, sun glare, security gaps, vandalism and outdated appearance are all easily and cost effectively addressed with window film. When the underlying window structure is sound, pricey window replacement is unnecessary in light of the massively less expensive window film retrofit option. Denver Commercial Window Tinting is acclaimed for providing innovative, affordable window film solutions for both residential and commercial applications. We’re proud to help our community transform dysfunctional, existing rooms into practical, comfortable spaces. Our award winning customer service sets us apart from other window film contractors. Experience the Scottish Difference and discover solutions with a great ROI. Let us demonstrate the effectiveness of energy conserving window film with this specially prepared study, in order to make a case for the addition of window film on your commercial location for both energy savings and green tax incentives. 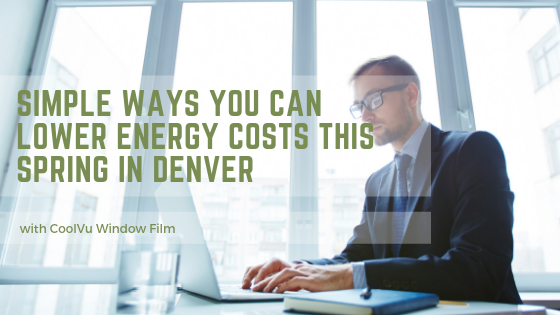 Window Tinting can provide Denver offices with a cost-effective way to save energy and money. By reducing glare and evening out internal temperatures, window film improves employee comfort, making them more productive and less likely to miss work. It is proven to increase tenancy and attract higher end renters as well. Offices can also benefit from privacy and decorative film used on doors and interior glass walls, especially with today’s open office concepts. Contact us today to discuss your project. Denver retail spaces are a prime location for window tinting, not only for temperature control but also for the 99.9% UV/UVA/UVB protection window film offers. The blocking of these very harmful rays significantly reduces fading of merchandise and the corresponding loss of product and profits. Decorative window film is also a great way to attract clients and give your retail location top of the mind awareness to the huge amount of potential customers that pass your location daily. A hospital’s number one concern is with the wellness of their patients followed closely by their mandate to generate profit. 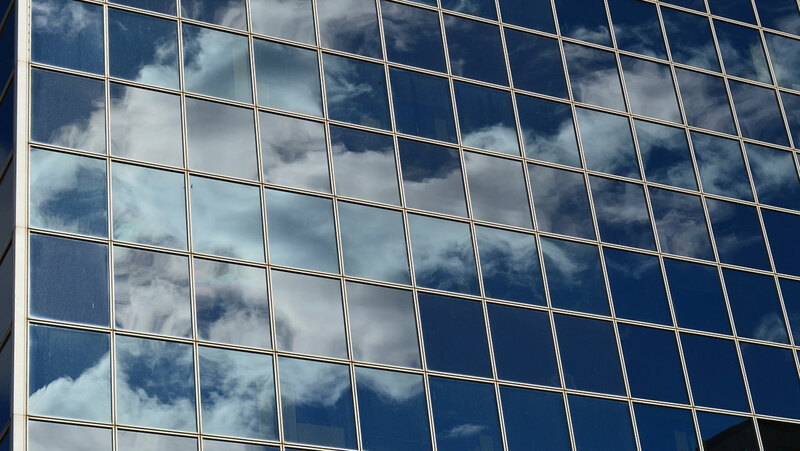 Window film is ideal for addressing both those concerns while also providing a host of other benefits like employee retention, energy conservation and a safe and secure premise. People go out to eat and relax with a certain expectation of comfort above that of their own home. 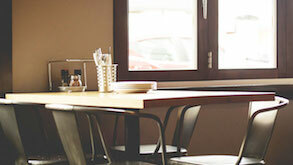 Window film on restaurant windows provides a safe, comfortable and temperature controlled environment free from glare. Decorative window film is also a great way to give diners extra privacy in their booths or private rooms, without closing them off from the ambiance they came to experience. In Denver’s highly competitive hospitality market, window film surely will give your restaurant an edge over the competition. It is proven that students learn better in a comfortable, distraction-free environment. The intense glare of the Colorado sun can be the primary culprit in stealing away student’s precious attention. It is decidedly an obstacle to retention and learning but is easily remedied with window tint. Window film also makes for a safer learning environment, and the protection it affords students against high trajectory impact from disasters both natural and man-made is well worth the relatively low cost of film. Buildings in which safety and security concerns are paramount can benefit from bomb blast and security window film. 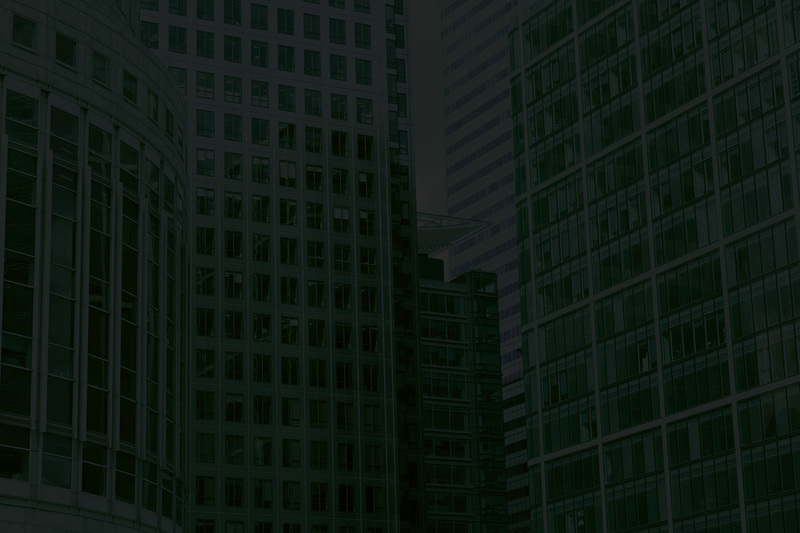 We know that keeping a building secure in today’s world is getting increasingly difficult. As assault weapons become more prevalent and with terrorism on the rise, the risk of penetration into secure buildings increases. However, there are strong window film security solutions that make the most vulnerable areas of your building, its windows resistant to both ballistics and bomb blasts and even natural disasters. 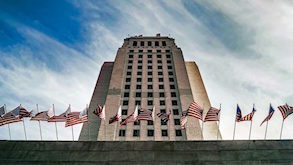 Government buildings are at especially high risk for attack. These “soft” targets are most vulnerable for an attack at their weakest point–their windows. When treated with multiple applications of C-bond, public building windows become nearly impervious to bullets or bomb blasts. 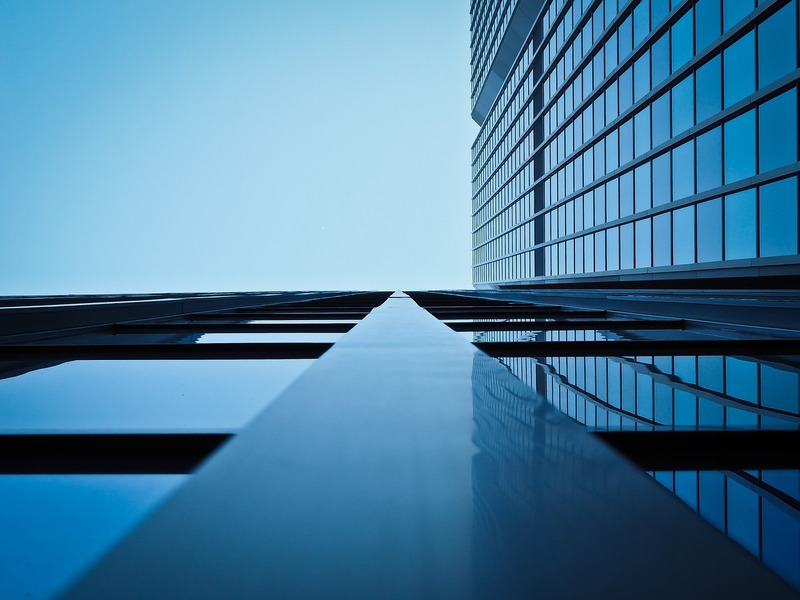 Public buildings also benefit also benefit from the money saving benefits of window film which ultimately gets passed on to taxpayers like you. The charge to take care of society’s most valuable relics is a difficult one. Which is why museums can benefit immensely from window film. This is because, one of the most detrimental factors to any ancient item is UV exposure–it fades, corrupts and compromises physical integrity. Window tint blocks these rays making an invaluable addition to museum windows. Our benefits are delivered by our team with years of experience are passionate about developing business. Window tinting saves commercial buildings money on their heating and cooling bills by blocking solar heat from entering and internal heat from escaping. 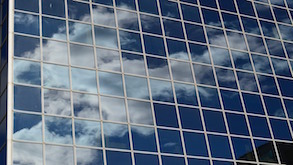 Commercial Window Tinting provides Denver’s buildings with protection against the harsh UV rays at our high altitudes. Privacy film has a number of different applications, designs, and style to provide varying degrees of privacy. Commercial Window Tinting reduces glare inside offices and public spaces, making them more enjoyable and improving employee productivity. Anti-Graffiti film protects windows from graffiti and scratches, significantly lowering the maintenance and upkeep costs of buildings. Protects a variety of surfaces: metal, glass, mirrors etc. Decorative and Promotional films are an inexpensive solution to provide messaging and branding solutions that can turn a building “into brand”, attracting more customers and higher-end tenants. Loss prevention window film is a wise choice for retail locations looking to protect their assets. It prevents glass from shattering in the case of natural or man-made disasters, protecting people and products inside and deterring thieves. For government and public buildings, bomb blast films are a necessary safeguard in the modern world. This inexpensive addition protects people and assets from dangerous flying glass and attacks. Window Tinting can alter the appears of Commercial Buildings quickly and at a low cost. 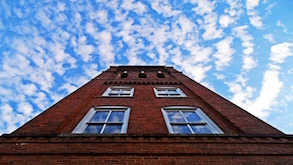 Building owners can make a drastic change in appearance with very little effort. Sleek, stylish, and highly effective, Vista designer window films offer an elegant solution to energy efficiency. Vista window films are the preferred choice for interior designers and building professionals all throughout the country. These window films are packed with energy saving and uv protective technology, and provide building owners with a solution for safeguarding their merchandise, furniture, and employees from the dangers of the sun. Available in a variety of styles, including attractive neutral tones and reflective options, Vista window films are diverse in appearance and bring beauty to any office or commercial setting. 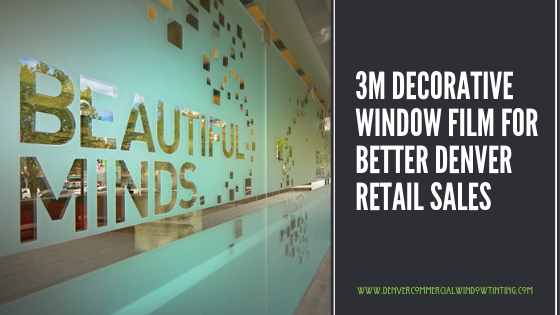 Denver Commercial Window Tinting is proud to partner with 3M to bring Denver business owners some of the most innovative and advanced window tinting solutions on the market. 3M Window Films are specially engineered to enhance the performance of glass and offer a solution for adding aesthetic appeal, energy efficiency, and security to your building. Whether your goal is to lower energy costs for your office or boost the curb appeal of your restaurant, hotel, or retail store, 3M Window Films can get the job done. These window films are so diverse and powerful that they can be used for a whole range of architectural purposes. Learn more about 3M Window Film. Llumar is known for their diverse product line and the reliability of their window films. Llumar window films are created from high grade adhesives and super durable polyester, giving them the ability to last for an extended period of time and perform well under even the most severe stress conditions. From rain, shine, sleet, and snow to explosive impact and physical trauma, there’s nothing that Llumar window films can’t handle. For an appearance that looks beautiful and results that last, choose Llumar window film for your security, energy saving, or decorative needs. You don’t want the same effects from your window film year round. During the summer, you want the film to block out heat but during the winter, you need heat to stay warm and comfortable. Unfortunately, most standard films only work one way, usually blocking heat out completely, regardless of the season. That’s why there’s EnerLogic! EnerLogic window films use advanced low-e technology to regulate heat transfer for year round performance and energy savings. No matter if it’s hot and sunny outside, or snowy and windy, EnerLogic films are sure to keep your office comfortable and make your employees and customers happy. Long gone are the days of dark window tint that blocks out the sun! Huper Optik Window Films employ the use of nanoceramic technology to control heat and filter light without making interior spaces dark and dim. Optically clear and 100% see through, these window films deliver all the same benefits of traditional window tint without the downside of aesthetic alteration. With Huper Optik Window Films, you can enjoy enhanced daytime and nighttime views and save tons of cash on energy costs for your business! 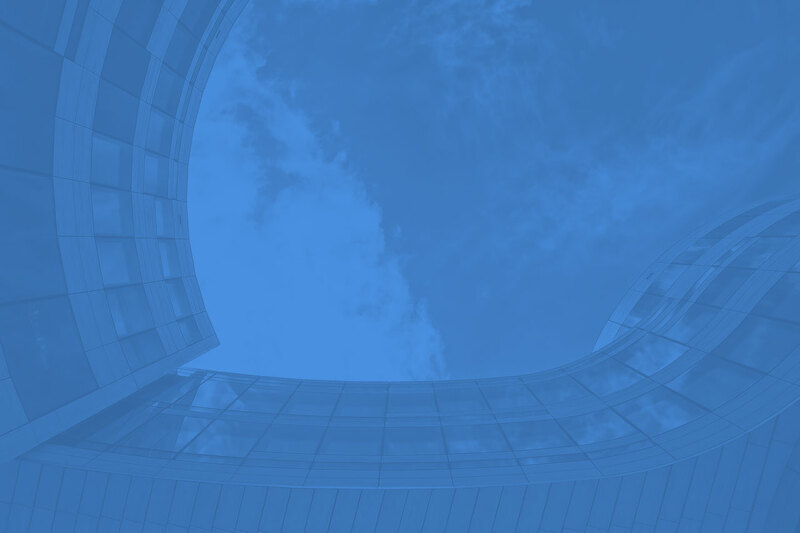 Saint Gobain is a global leader in sustainable building practices. In a mission to make all structures across the world more eco friendly and sustainable, they developed Solar Gard window films. Solar Gard window films are specially engineered to be spectrally selective, giving them the ability to control heat absorption in glass and block out uv rays while providing maximum daylight for reduced artificial lighting costs. Available in a variety of styles, Solar Gard films have the ability to accommodation nearly any type or size of commercial building, from high rise offices to schools, libraries, and small boutique stores. Bring your office or store to life with the stunning beauty of HDClear custom graphic window film. HDClear decorative window films deliver high definition graphics in stunning colors and sharpness, creating lively displays and imagery for all types of commercial settings. You can use it to create custom signage for your front door, advertise your promotions, or even add privacy to your conference rooms, the choice is up to you! With HDClear, the possibilities with window tinting are endless. Denver is no stranger to crime. One only has to walk downtown for a few minutes and before long, they’re bound to come across some form of street art or graffiti. Graffiti is expensive to repair, it looks unattractive and unappealing to customers, and is an overall huge hassle to deal with. Graffiti Shield is a specialized type of window film designed to deter graffiti and protect buildings from vandalism. Graffiti Shield discreetly overlays mirror and metal surfaces, concealing any signs of wear, scratches, marks, or etching, putting graffiti problems to an end. 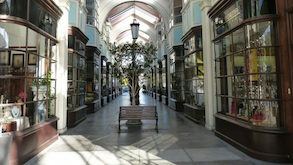 Imagine an architectural solution that lowers the energy costs of your business without sacrificing aesthetics or views. Now you can turn your vision of the perfect office space into a reality with V-Kool window film. V-Kool provides Denver business owners with a solution that improves building energy efficiency while preserving outdoor views. Completely clear and aesthetically pleasing, V-Kool films offer all the same benefits as traditional window tint without the distorted, reflective appearance. Optimize the views and comfort of your office or commercial building with V-Kool window film. V-Kool’s clear, non reflective appearance makes it an attractive choice for businesses of all types. V-Kool allows your employees and clients to comfortably enjoy outdoor views while saving you tons of money on energy expenses. It’s an all around winning solution for building owners and occupants alike. Traditional methods for glass insulation are becoming seriously outdated. Triple and double pane windows usually cost more money than they save. Dark window films block out too much sun, which leads to increased spending in artificial lighting. If you’re looking for a smarter way to save money on electrical costs, we’ve got the perfect solution for you. Drywired Liquid Nanotint® can drastically enhance the insulation of your building without reducing natural light. Install Liquid Nanotint for your Denver business or commercial building to start experiencing serious energy savings today. The glass windows and doors in your building are responsible for over 25% of occurring heat transfer. But how can you prevent energy loss? The solution is simple: Drywired Liquid Nanotint®. Liquid Nanotint is a thermal insulation coating that works to reduce energy loss by increasing glass insulation. Liquid Nanotint is highly effective when applied to single pane glass and polycarbonate surfaces for reducing electrical costs and increasing occupant comfort. You’re a successful business owner because you’re always focused on the future. You understand that the health of your business is dependent on a number of factors, which of course includes the well-being of your employees and the functionality of your workspace. That’s why you can’t afford to risk the occurrence of a dangerous situation that leaves your business totally exposed to harm. 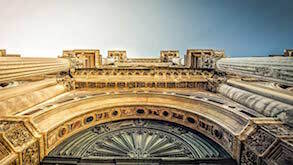 In some severe cases, traditional security systems may not give you the high level of protection you need. That’s why you need C-Bond for your Denver business. C-Bond glass is so strong that not even bullets can penetrate its defense. C-Bond is an entirely new type of glass protection product that has been developed based on significant findings in recent nanotechnology studies. It’s a water-based, 100% non-toxic solution that’s applied directly to your glass doors and windows and is invisible in appearance. It works to dramatically enhance the performance of glass and window film products by penetrating deep into the pores of glass to reconstructure its molecular framework. This increases both the strength and durability of the glass. A city on the rise and has already changed a lot in just the past 5 years alone! A little ways south of Denver Colorado sits a beauty of a city–Castle Rock Colorado. Aurora, Colorado has changed drastically in the past 10 years and what was once a good place to live, play and raise a family–is now great! Just south of Denver, Colorado sits a rather new suburb, called Centennial. It has quickly become yet another Colorado gem. A little west of Denver Colorado sits the breathtaking beauty of a city–Boulder Colorado. If you’re looking for a commercial window film company in Colorado Springs, Denver Commercial Window Tinting is your number one source. Denver, Colorado is a wonderful place to live, play and raise a family. Just east of Denver Colorado sits our fast growing suburb of Lakewood–truly a city on the rise. A little ways east of Denver Colorado and nestled right up to the foothills of the breathtaking Rocky Mountains. Just southeast of Denver, Colorado sits the picturesque suburb of Littleton–a Colorado gem but also a city on the rise. A little ways south of Denver, Colorado sits the incredible fast growing Colorado suburb of Greenwood Village. Parker, Colorado is a city that is on its way up and in the past decade has seen massive growth already. 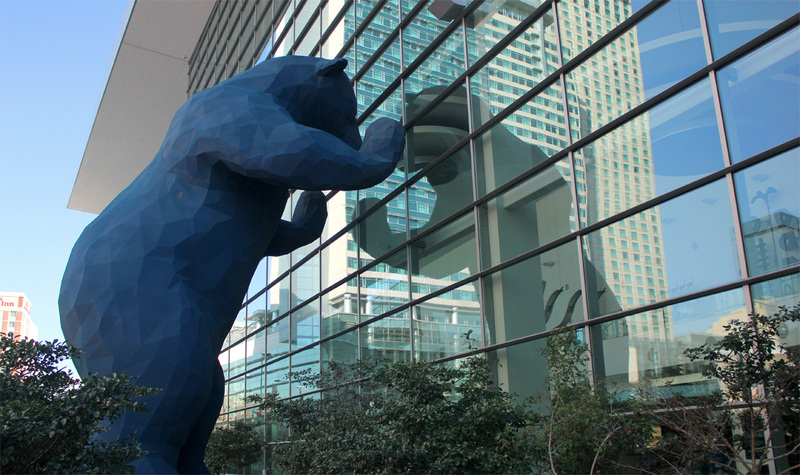 Wherever you are located in Colorado, Grand Junction to Sterling, Pueblo to Fort Collins and everywhere in between, Denver Commercial Window Tinting provides custom design solutions to fit almost every need.